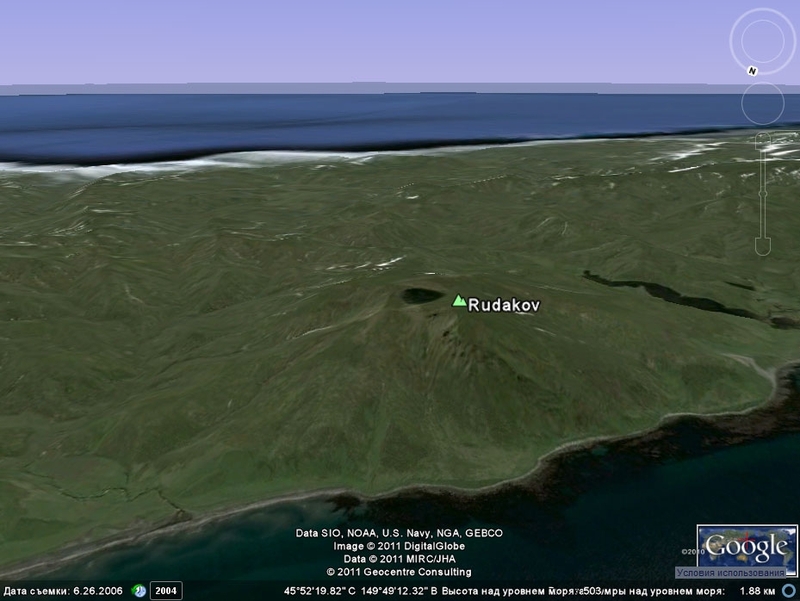 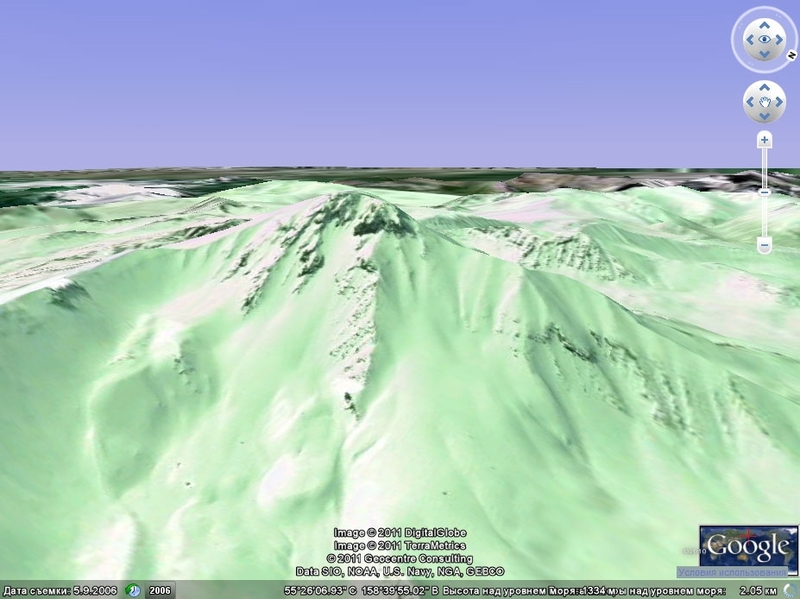 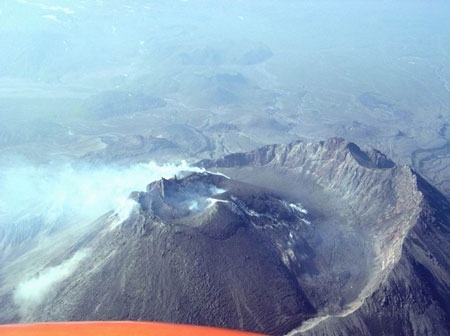 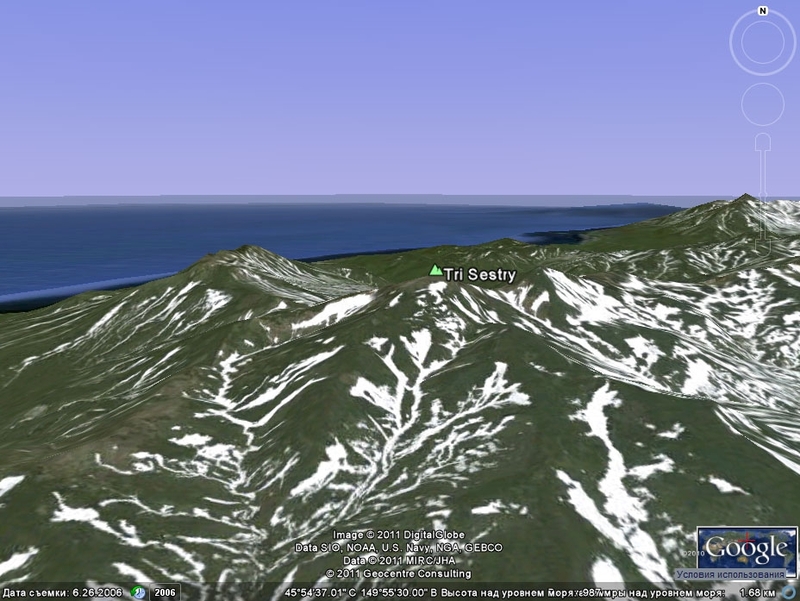 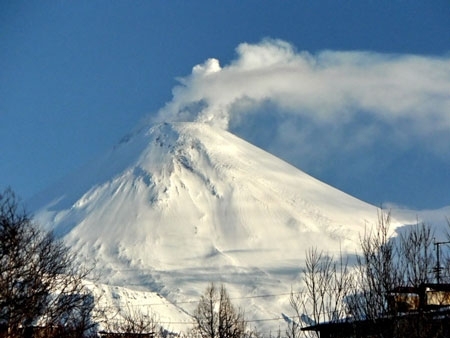 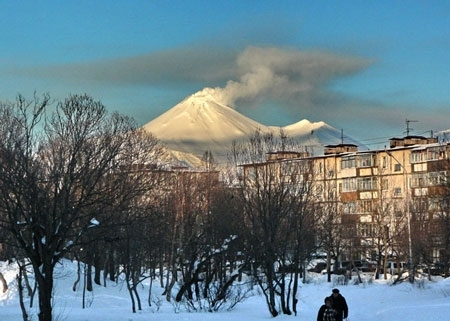 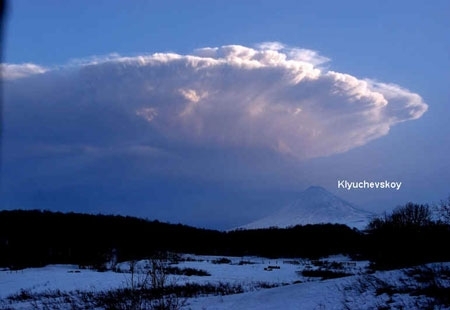 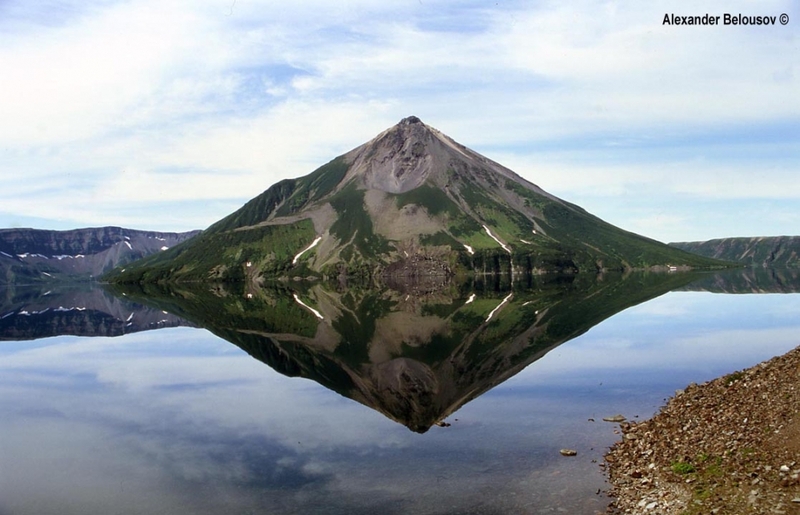 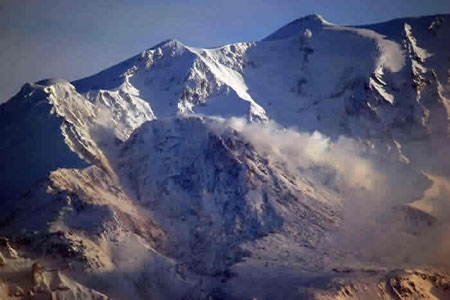 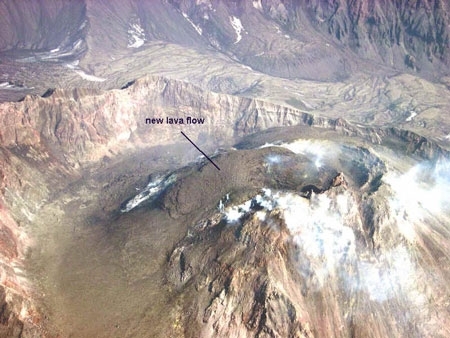 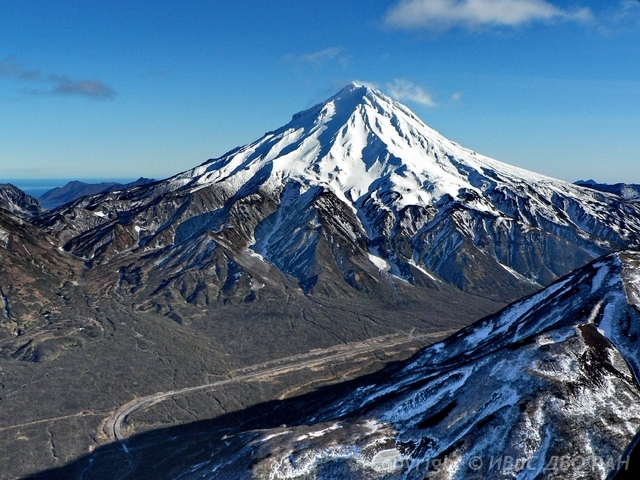 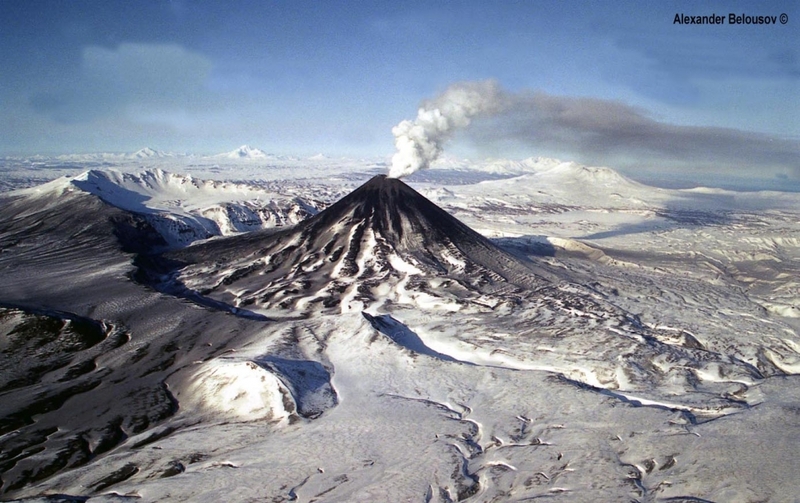 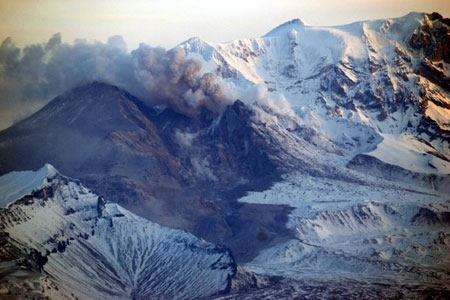 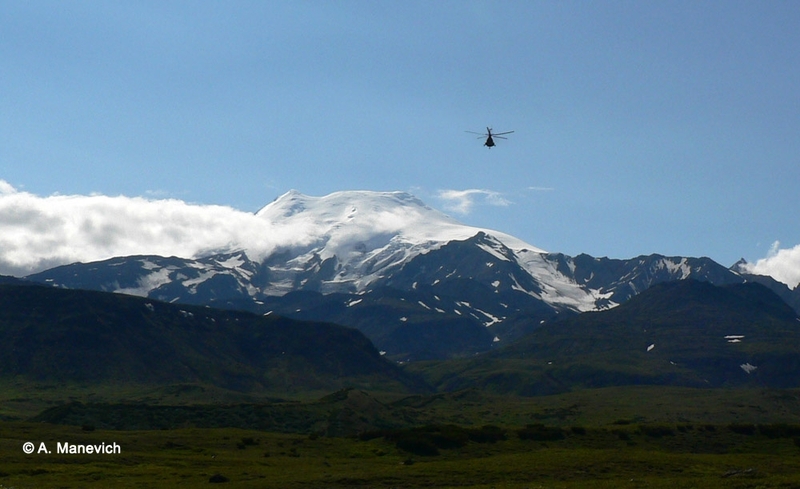 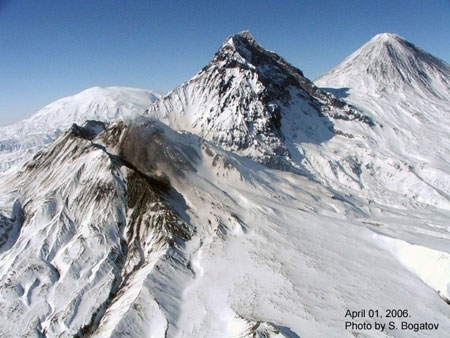 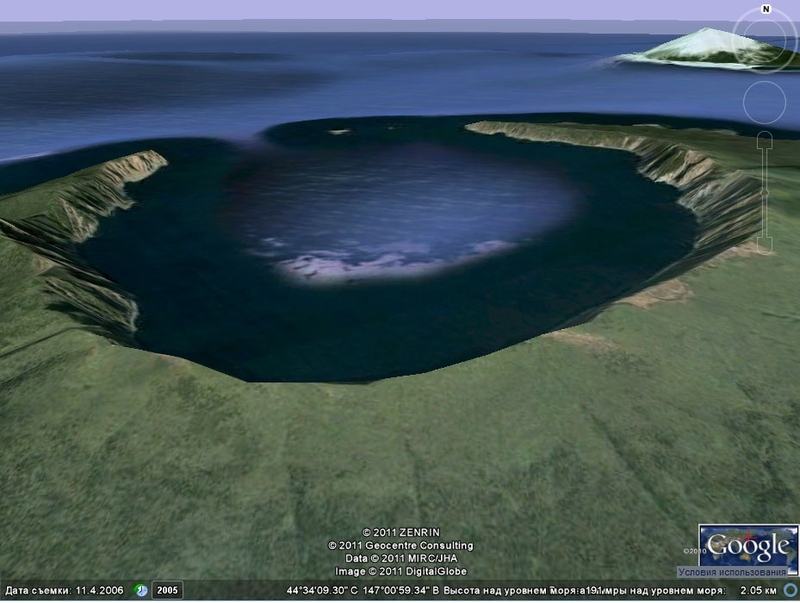 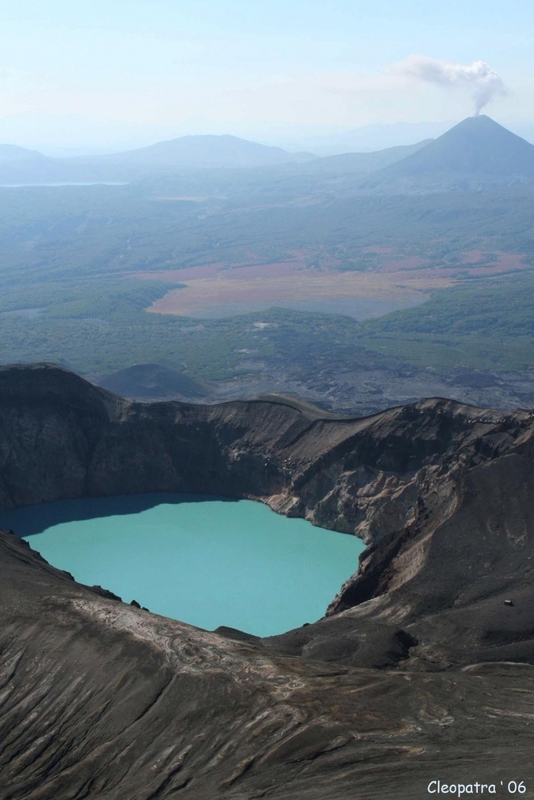 State of Avachinsky volcano on January 20, 2006. 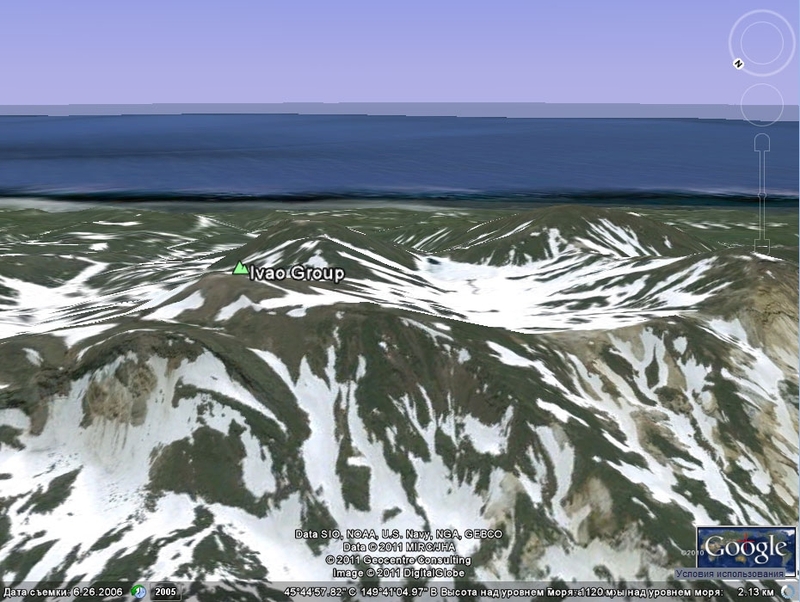 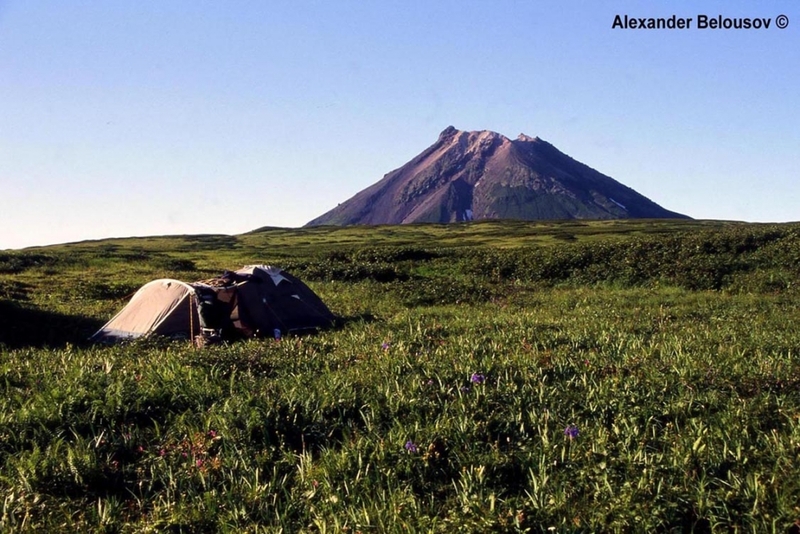 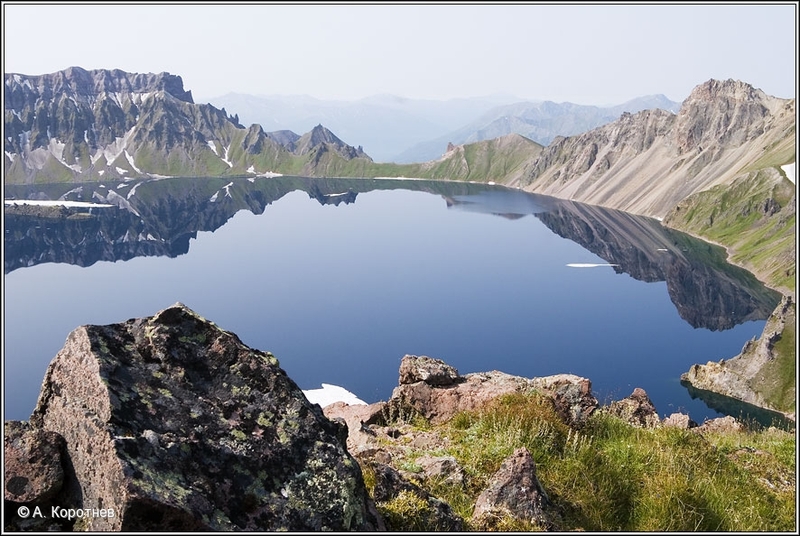 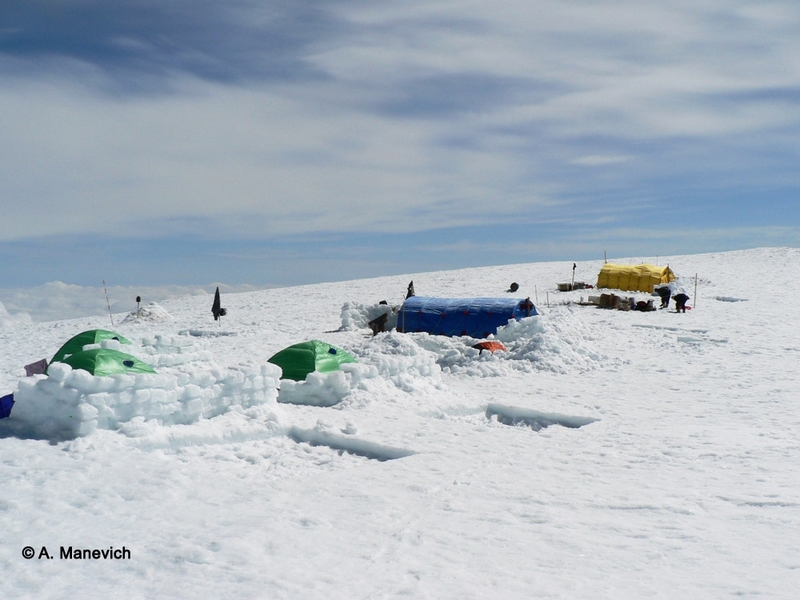 The 2006 camp on the outer slopes of Tao-Rusyr caldera. 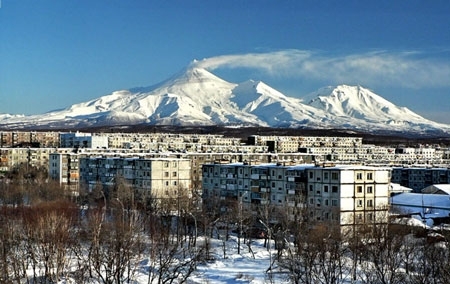 At the background - Krenitsin Peak.